Rodrigo Duterte will be inaugurated as the 16th Philippine president next month. It is the culmination of an extraordinarily intense campaign period, but also the beginning of something else. Precisely what is anybody's guess. I avoided commenting on the campaign, not least because it left me bewildered. I could not get a grip on Duterte's popularity. I know and respect many people who support him. These aren't the uneducated, low-income conservatives that Donald Trump has galvanised, though the two men are often compared. I've been known to compare them, too. It's too easy to do. I was also disturbed. The things Duterte represents — vigilantism, unilateralism and violence — aren't these the same things that Filipino human rights activists had fought against? Is this now the preferred template for imposing order across the country? What does it even mean for Ferdinand Marcos' son to get this close to being back in Malacañan Palace as vice-president? Does this not defy memory and reason — the ultimate insult against many survivors of torture and incarceration under martial law? I parsed post after post on social media, trying to working out what I was missing. For months I asked myself, what the hell went wrong? It is only lately that I'm beginning to accept that I got the wrong end of the question. What went wrong? Everything. For many, the promise of equity, security and justice that came with a renewed democracy in 1986 remains unfulfilled. The Philippines keeps being touted as a fast-growing Asian economy, but such gains do not trickle down to rural towns and provincial cities. "Visitors and residents are emphatic about Davao being safe and orderly; that its infrastructure and public and emergency services are world-class." Transport infrastructure in urban areas has decayed. Rampant development has come at cost to liveability. Quality healthcare is far from universal. The best-paying jobs are still overseas. Whether or not it is fair, the perception of gross incompetence at the highest levels hardened after Typhoon Haiyan and the fatal Mamasapano police operation. Certain officials were kept in roles based on tenuous things like presidential favour. Corruption in both houses of Congress and municipal councils routinely led to scandal. Meanwhile, farmers go hungry and indigenous peoples continue to be displaced. One reading of Duterte's victory is that it came via protest vote, the same anti-establishment movement we see elsewhere but with a distinctly Filipino flavour. There is no doubt that people have had enough of the status quo. But that would only be part of the picture. The rest is opaque, unless one understands what it is like to live in places of criminal impunity. In the estate where my family lives, a neighbour who was a businessman was kidnapped for ransom. One morning, my mum discovered that the patio gate had been partially jimmied. She locks the door like a tic whenever my (unmistakably Anglo) husband gets in the car. Her brother makes sure someone, any one of his five children, is always at home to dissuade burglars; their schedules revolve around it. 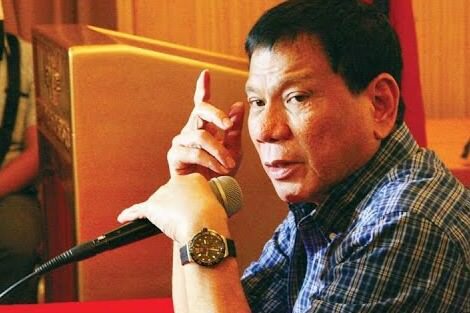 The contrast to Davao, the city Duterte has run with an iron fist for years, is more than stark. Visitors and residents are emphatic about Davao being safe and orderly; that its infrastructure and public and emergency services are world-class. Could anyone really begrudge Filipinos in other cities that? It goes without saying that transposing Davao to the rest of the Philippines is an untested theory. It is much easier to manage a single fiefdom than several. Human rights advocates, various NGOs and the media are sure to scrutinise Duterte's decisions; he may find national attention harder to bear than parochial adulation. The appetite for change is one thing. Actual change is another. For now, I have to hope that the hope of so many Filipinos cannot be wrong. I have to hope that the passage of credible elections is a good sign; that hard-won Philippine democratic institutions will not only bear a Duterte presidency but refine it. I have had an abiding interest in the Philippines since passing through Manila in 1970 on my way elsewhere. I married a Filipina in 1983 and regularly return to the home province, La Union, about 220km north of Manila. I have observed many changes since Marcos was removed from power in the 1980's, not all have been good, crime and corruption continue but compared to the Marcos years, life has improved for some but sadly not all as Fatima observes. Poverty is still painfully evident, particularly in parts of Metro Manila, less so in our Provence. My wife is very concerned by the election outcome and like me, rather puzzled by the outcome. I had a run-in with the Marcos 'goons' in grey suits in 1984 when I was briefly detained at MIA, homeward bound after attending an education conference at a College in San Fernando, La Union. Seems my 'sin' was talking to students! I sincerely hope that the President elect Duterte does not go down the Martial Law path of the Marcos years. We are due to return to the Philippines in November. Then I may get an idea why the people voted him in. I think that Maslow's theory of the hierarchy of needs might go some way towards answering some of Fatima's questions. The situation in the Philippines reminds me of what a seasoned Catholic missionary said to me regarding his work in India. "There's not much point talking to a Dalit about God's love if he's hungry, uneducated, homeless and ostracised. You've got to do something about those basic needs first. It's the Christian thing to do." It seems to me (at a safe distance) that is what Duterte has been doing in Davao - whatever his motive or his methods. He is meeting some basic social needs of many citizens in the Philippines. A very truthful and constructive article.I only hope that all will be well. NJK. I'm a Good Samaritan Sister living on the island of Negros. I resonate with all Fatima has written and indeed with the comments made. I work in the prisons here on Negros and with the poorest of the poor in squatter areas. I have been astounded that these good folk voted for Dodirty (his nickname!) some from ignorance of what he stands for (some of these same jail residents may find themselves on death row!) but many from desperation - they see the corruption in Goverment over and over - and they continue to struggle to put a meal on their families tables, DESPITE. Having a job! There are so many injustices that abound in this country - the rich are just so rich and unaware of the majority of people who struggle, struggle, struggle. It is unimaginable in a first world country to begin to understand the plight of these beautiful people. PLEASE pray for them all. Very Good article and very timely now as we watch what happens after the Obama insult and the on-going drug purge. The question remains: how this is this all going to play out in the next 5 years?